Upon making my daily visit to the Neiman Marcus website, I saw a small ad showcasing a new designer to the online store, Theodora & Callum. Never having heard of them before, I took a gander and found these amazing wedges. 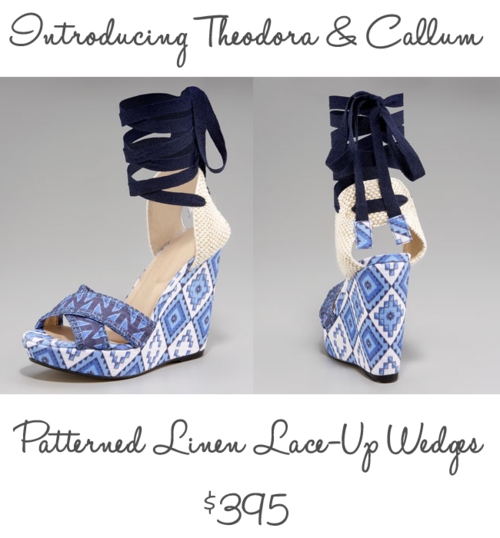 Coming in a variety of colors, patterns and materials, these shoes are a great addition to any summer wardrobe. See the rest of the bright collection here.